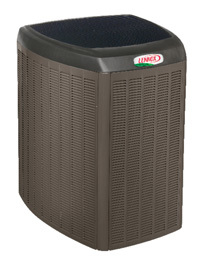 Heat pumps are much more energy efficient than traditional gas or electric furnaces. With a heat pump, the gas or electric furnace is used only as a back up source of heat, which can save you money on your heating bills. 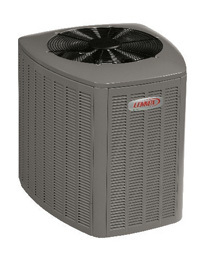 Gandy Installations offers a wide range of heat pumps from top HVAC manufacturers, including Lennox and Carrier. We can advise you as to the potential cost savings of installing a heat pump, and help you decide if a heat pump makes sense for your home. A heat pump is essentially an air conditioner capable of both cooling your home as well as heating it. Heat pumps operate more efficiently than gas or electric furnaces, saving you money while reducing greenhouse gas emissions at the same time. Essentially, a heat pump moves heat rather than generate it. The heat pump transfers heat energy from the outside air to inside your home in the heating season, and absorbs heat from the inside air and transfers it outside during the cooling season. 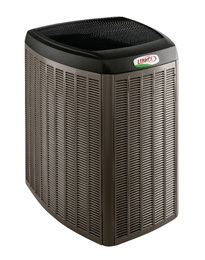 This dual function makes heat pumps ideal in providing year-round heating and cooling comfort for your home. Want to Know More About Heat Pumps? Gandy Installations offers free in-home consultations. One of our friendly and knowledgeable home comfort advisors will discuss your unique heating and cooling requirements, answer your questions and recommend the heat pump most suitable for you and your home. You will receive a written quote for equipment and installation. High efficiency two stage heat pump! The quietest and most efficient single stage heat pump you can buy! High efficiency heat pump with true variable capacity! The quietest and most efficient two stage heat pump you can buy! The most precise and efficient heat pump you can buy!